Norasystem is effective on the main sources of olfactory nuisance, it mineralizes and finally eliminates in a natural way the smelly molecules. The fields of application are numerous, from our close environment such as domestic pollution to our living environment such as industries and other environmental activities related to waste treatment. The definitive elimination of bad odors directly in manufactured products or the contribution of an “anti-odor” feature in them is certainly the most original efficiency that allows us to rediscover the pleasure of a healthy and natural air . Air is a vital, common and still unregulated resource. The first criterion of the quality of the air objectifiable by any eco-citizen remains its smell. Sustainable economic activity must take into account its environment and its people. 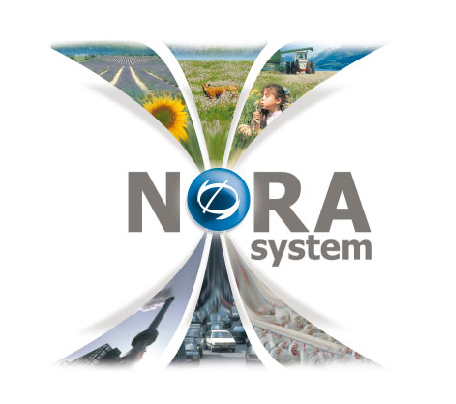 The Norasystem solution against environmental olfactory pollution acts by combined catalysis. 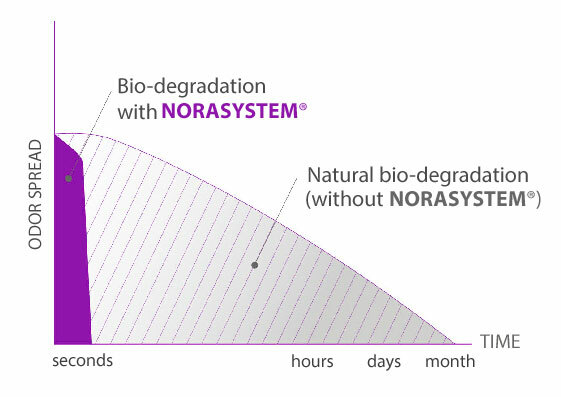 Norasystem triggers a mineralization reaction of the odorant molecules, which therefore find their natural state stable, non-toxic and harmless to humans and the environment. Livestock: treatment of manure and livestock odors. related to the use of certain additives or smelly raw materials. – Increase of the added value of the product.